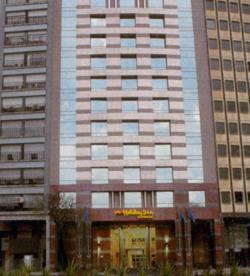 Holiday Inn Express Puerto Madero, Buenos Aires discount hotels and accommodation. Holiday Inn Express, modern, comfortable and functional, with the style that you are really looking for. Located in the most amusing area of Buenos Aires: Puerto Madero just few steps from the center of the city and of theimportant corporate offices, Shopping Centers, famous places tourist and numerous restaurants. View photos, room descriptions and make online reservations at Holiday Inn Express Puerto Madero. Save on room prices at Holiday Inn Express Puerto Madero, Buenos Aires.